The Second World War was a classic example of how good and evil man can be - where Hitler and his men were doing everything they could to destroy entire races, the Allied Powers of the world came together to fight and rescue the millions caught in the crossfire. Called Ho-Shoah in Hebrew, the Holocaust was, undoubtedly, the most painful and devastating man-made disaster the world has ever seen. In the simplest of terms, it was nothing more than a government sponsored murder trip, in which millions of innocent people lost their lives, simply because one believed - and taught - that his bloodline was better than the rest. From Jews to homosexuals, innumerable people died, their screams echoing through the silences we observe for them even today. In the concentration camps, there were tortures and horrific scientific experiments being conducted on the helpless and the innocent. And in those same concentration camps, there were a few who were quietly rebelling, trying to squirrel away as many lives as they could, trying to spirit them away to safety in the proverbial dead of the night. Some of them even lost their lives in such a noble pursuit; too many of them have been lost to the pages of history, their bravery and selflessness unknown but never truly forgotten. The Holocaust remains a stark reminder of how dark humanity can be. But it also reminds us of how much light we can possess and how easily we can make an impact on someone's life. Given the chance, man has the ability to flip a switch and turn his entire being around - whether that flip turns you into an angel or a demon is up to you to decide. 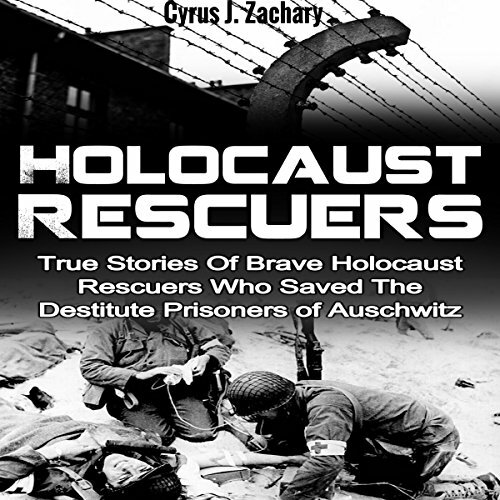 If you are interested in learning about these amazing rescuers who went through the Holocaust, you have come to the right place!